One might think trees to be a part of the natural landscape. They are so much more. They are bearers of shelter and food for sustaining wildlife. They play major in maintaining the environment by taking in all the Carbon dioxide, utilizing it and breathing out oxygen for us. Above all, they take our breath away by adding beauty to the world. Trees tend to survive considerably more than their animal counterparts. In fact, they are the longest living organisms on earth. They are resistant to aging and never die of old age. On average they drink about a 2,000 liters of water yearly. Planting trees strategically can help you reduce your energy bill by 25%. How do they do it? The reduce the city temperatures by 10-degree Fahrenheit. They provide shade in summer and wind-break in winter. Many people don’t know that there were seed kit and tree kits taken along with the astronauts on Apollo 14 mission. NASA, through this experiment, wanted to know if there were any differences in their growth due to the presence in space or the moon’s orbit. It is demonstrated through multiple studies that trees can communicate as well as defend themselves against the insects that attack them. Phenolics are special chemicals that flood a plant’s leaves whenever they feel there is a raid by an insect. A system of signaling also seems to be into play during play which notifies the trees nearby about the danger. Pine trees are unique as they don’t produce fruit instead they place their seeds inside cones. As if this isn’t unique enough those cones have different genders too! If someone gets lost in the woods, trees can help them find their way around. Trees in the northern temperate climate have mosses grown towards their northern side of the trunk. This is because this side receives more shade. Tree’s rings help you find the right direction too. Being in the northern hemisphere, the rings on the southern side of the plant tend to grow slightly thicker because of the excess sunlight. While the opposite being true in the southern hemisphere. When trees transpire, they lower the environmental temperature through evaporation. Different parts of plant tend to grow in different seasons through the year. Typically speaking, the foliage growth is part of the spring season. The trunk growth follows in summer, while roots choose winter and fall for their growth. You need to know while you try to grow your own tree. Trees slow the flow of rainwater and filtering it to improve water quality. They prevent aquifers and watersheds. A birdhouse when hung on the branch of a tree, the tree that grows in such fashion that the house doesn’t move up with the growth. Pine trees can be found in all six of the continents leaving only Antarctica out. What do you like to do on vacation? The most of people are busy in their offices. That is why they like to spend their vacation outside, on nature. Even if you have few days, you can spend them wisely and feel yourself with life energy and peace. So, why don’t you take a piece of nature to your interior? How about the idea to fill in your house with positive boost? You can do that with the help of nature interior, so-called eco-interior. Eco style was firstly created to save urban citizens from their city life, high speed rhythm, negative and tension. What is more, eco style boasts many other advantages you should know. The main its characteristics are natural materials, simple lines and forms. Eco design is a new and popular tendency. This is also a big necessity for city people to forget about their urban landscapes and fill the house with natural, eco-clean items and accessories and refresh your interior with the help of simple and money-saving measures. Here are some practical variants to make your house eco-friendly. If you need to create eco-style in your house interior, you should take colors from nature. It is not recommended to use bright acid colors and their combinations. The best and the most popular variant for your room color is green. Nevertheless, if you don’t want to make your room dark and gloomy, you should pick fair furniture, textile and accessories. You may also use such natural colors as wooden, sandy, white, beige, blue, grassy, brown, black, light yellow and others. Just try to pick the colors as you can meet them in nature. It is impossible to create eco-interior without plants. So, if you want to make your room stylish, fresh, comfortable, try to use at least one bright plant in it. If you use plants and flowers, they are also useful for health. Just keep the golden mid and don’t make a big Botanic garden in your room. Of course, eco-style supposes to use natural materials. It can be high quality wood, natural stones, glass, ceramic tiles. Wooden is the most important material to use. This is the first characteristics of eco-style. So, the wooden materials are often used to make a floor and ceiling, furniture and other elements. Picking the right furniture style, pay much attention to materials, forms and nature of what you want to buy. The simple and primitive forms of tables, beds, chairs and armchairs make your room interior closer to eco-style. 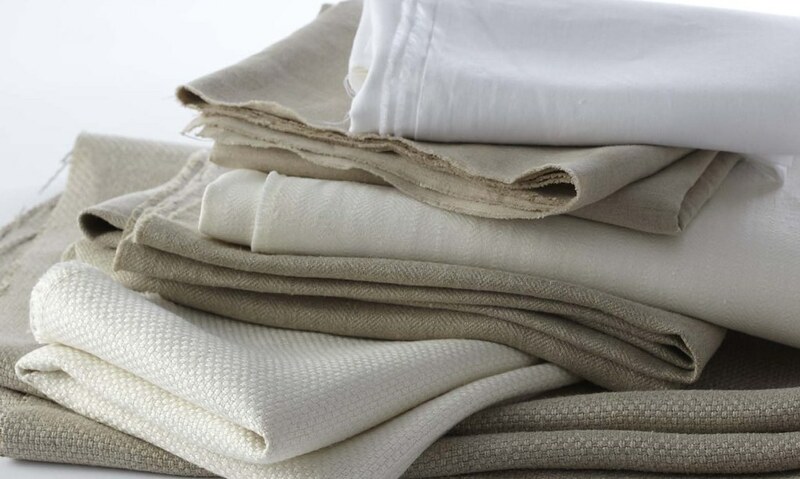 Using natural textiles, you may also make your room eco-friendly. Thus, interior may be decorated with cotton or linen draperies, bamboo shutters, woolen blanket, textile napkins. Covering your floor with natural carpet, you can feel that nature comes to your house. You can make a composition of stones, shells, herbs and other natural materials. It is not difficult. You can turn any log into a beautiful vase in eco-style. 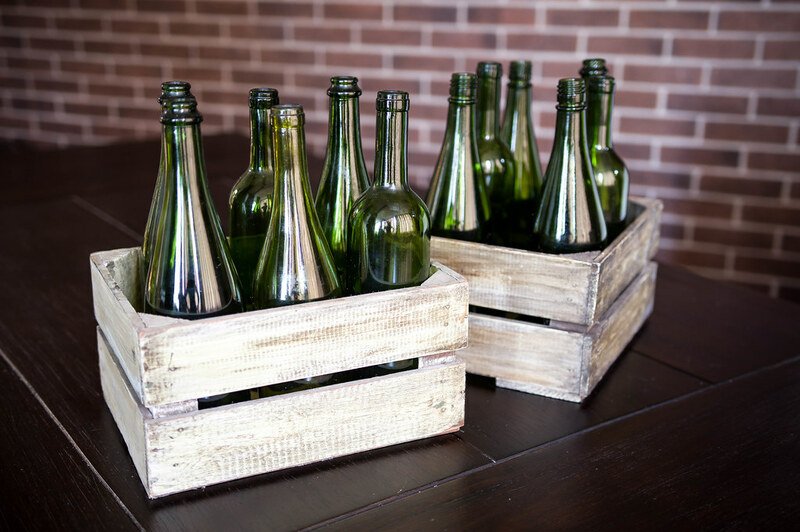 You may also use different chests, baskets, rattan furniture, ceramic and glassy plates and bowls, vases, woolen carpets, linen and cotton textile. Natural colors and arts on the textile, carpets and covers are available. But don’t use pictures for all surfaces. Photo wallpapers with natural pictures are in trend. You can find interesting compositions and landscapes, photo sets. The main thing is creating natural interior. The lights must be intensive, close to the natural lights. It is great to have a big window in the room. The lamps are soft and yellow. You may also use LED-lamps. If you want to get more lights in your room, you can make your walls and ceiling light colors. Don’t clutter your room space with different furniture. If you want to make your interior in eco style, the walls must be smooth and clean, the furniture must be represented only with stuff you need, the windows are decorated with light airy draperies. Remember that eco-style interior must be flexible, plain and unpressing, penetrating with air and freedom. The wooden floor may be no the expensive high quality hardwood, but wooden boards or laminated wood. It is much cheaper. Of course, the cheapest variant is using parquet board. You don’t need special instruments to lock them all and make your floor natural and eco-friendly. What about the walls? You may use paper or bamboo wallpapers or just paints and brushes. You can color your walls as you want and draw something on it. You can draw a tree, flowers or grass to make your wall pictures soft and neutral. Speaking about plants in the room, this is time for you to decide. It is not difficult to get a competent consultation online about what plants you can grow and what conditions they need to be grown well. Think about your kitchen space. 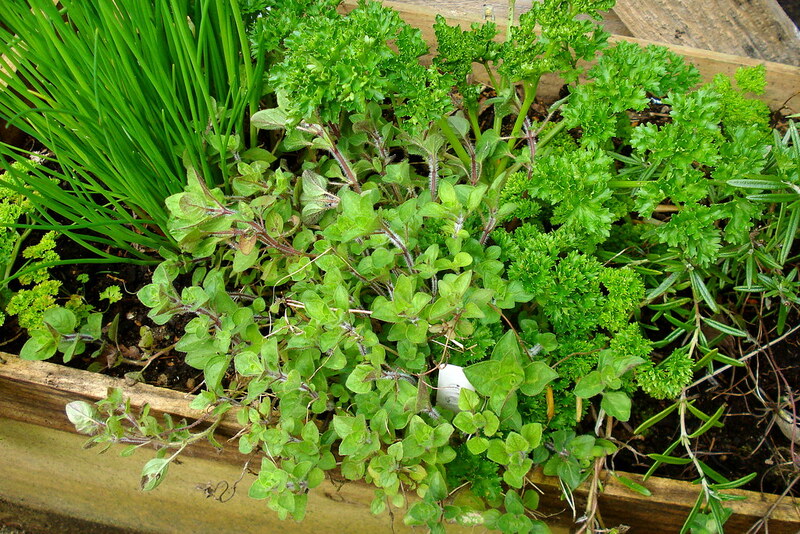 What a favorable space you have to plant aromatic herbs: lavender, basil, celery. Of course, you can use these herbs for cooking. You may also grow vegetables and use them for dinner. If you want to get the best example of eco-friendly interior, you can check all big cities of the USA. All of them have hotels and eco-friendly houses. There is one special and impressive place in Florida. You should use car rental under 21 Florida and go somewhere to the direction of Key Largo. Jules’ Undersea Lodge. This is a unique place for all eco tourists. The hotel is situated on the park territory under the water, 6 meters deep. There are no many suits there, just six. But the guests come again and again at least for few days. The view is really impressive! To get there you have to climb down the underwater ladder. What is more, you need special equipment to move and breathe under water. There is a wet room to take shower and the hotel rooms that are eco-friendly. So, switch on your imagination and make your home roomy, light and natural. The capital of Belgium is called one of the greenest European cities, because the spacious parks and cozy gardens are found almost at every step. Therefore, leisure walks are not too tiring in Brussels: visitors of the city always have the opportunity to relax in the shade of the alleys and enjoy the silence for at least a few minutes. In addition, every Brussels’ park has an interesting history, and you can continue your acquaintance with this cozy city sitting under the canopy of trees. Perhaps, Parc Tenbosch is the coziest park of Brussels. Although it’s situated in a trendy and dynamic area of ​​the city, but it’s well isolated from the outside part of the city. After getting there, you plunge into the atmosphere of relaxation and pacification: only children’ laughter, coming from the playgrounds with swings and sandboxes dilutes this silence. By the way, in Tenbosch you can not only lie on a soft lawn, but also sit in one of the sun loungers, prudently arranged by park rangers. Local vegetation deserves a separate story. Many years ago the park was the property of a Belgian dendrologist. So, you’ll find there pine trees, century beeches, hazel groves, poplars, Indian chestnuts, as well as liquidambars. This is an excellent spot for an impromptu picnic with croissants and coffee. On weekdays there are many students there, as the Higher School of Visual Arts is located not far from it. Previously, this garden belonged to a monastery, founded in the 13th century, but nowadays it’s open for all. You can wander through the alleys, and admire the chapel of St. Boniface and other monastic buildings. In general, the garden occupies a huge area and is divided into two parts – South and East. They are designed in the style of French classicism and represent with symmetrical green terraces, alleys strewn with gravel and neatly trimmed shrubs. Jardin Botanique is an amazingly beautiful botanical park in the style of strict classicism with lots of sculptures. Located on the long Royal Street, the Botanical Garden is surrounded on all sides by high-rise buildings. Therefore, it’s quite popular not only among tourists, but also among locals who consider it a simple park for walking and rest. 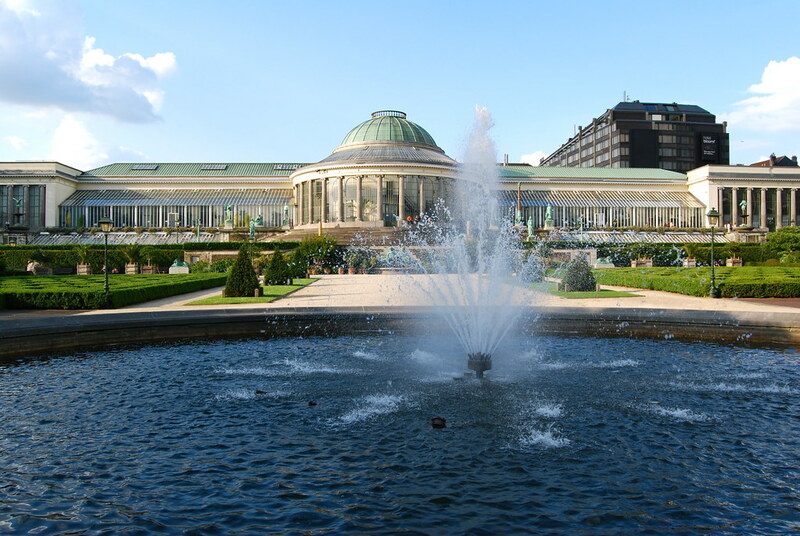 The first site with exotic plants appeared in Brussels in the late 18th century. The main attraction of the new botanical garden is a glass orangery with a majestic rotunda. Nowadays, this is a little park with 30 sculptures and clearings for rest on the bedspreads. The Rotunda has become a place for various cultural events. 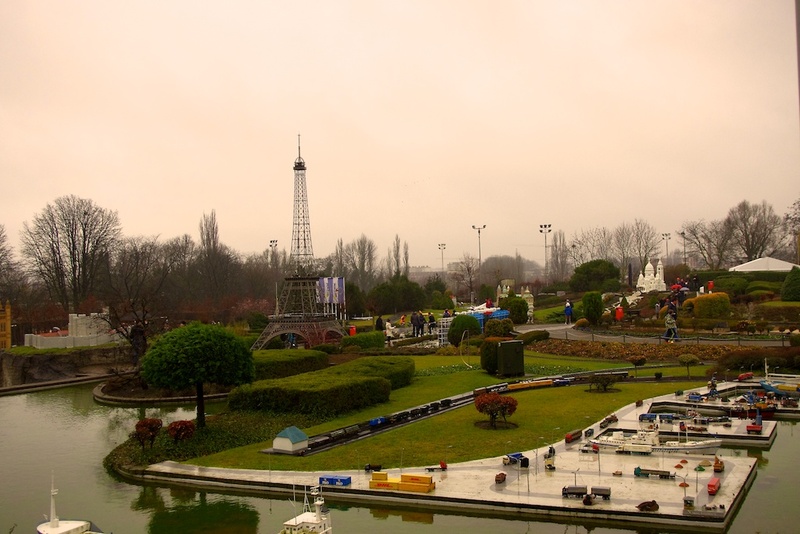 Mini-Europe is a park of miniatures, and one of the major Brussels ’attractions. Located on 24,000 square meters, it was inaugurated in 1989 by the Belgian prince Philippe. It’s placed in Brupark at the foot of Atomium and represents the most famous miniatures of European monuments (scale – 1:25). In addition, there are cars, a train, an airbus, mills and other mock-ups powered by electricity. Along the pedestrian paths there are about 400 exhibits with miniature figures of people and trees, which turn the park from a museum into a science center. Many models are real achievements of technology. This is the collapse of the Berlin Wall, eruption of Vesuvius, rotating Dutch mills and Finnish sailboats passing through the floodgates of lakes. All items are allowed to touch with your hands. 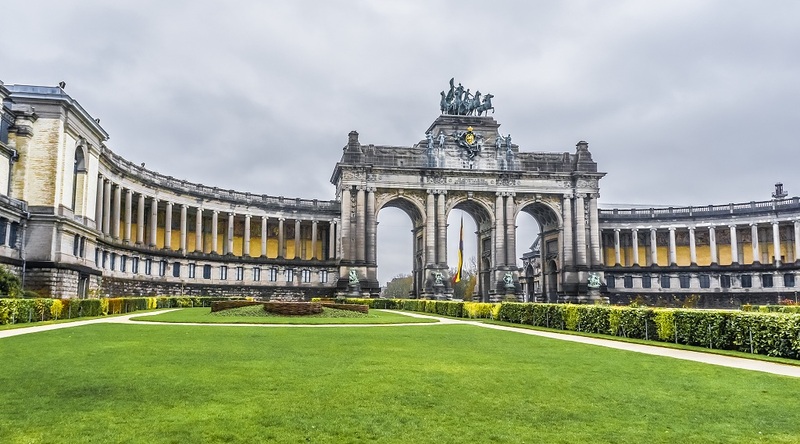 Located in the eastern part of the European quarter Parc du Cinquantenaire includes the whole complex of majestic buildings in the form of a horseshoe with the Brussels triumphal arch in the center. The park was created for the National Exhibition of 1880, which was held as part of the celebration of the fiftieth anniversary of the country’s independence. Its territory occupies about thirty hectares of land, where you’ll find a huge number of beautiful small lakes, magnificent gardens and even a small waterfall. Bright flower beds, as well as well-maintained shady paths also hit the eyes. 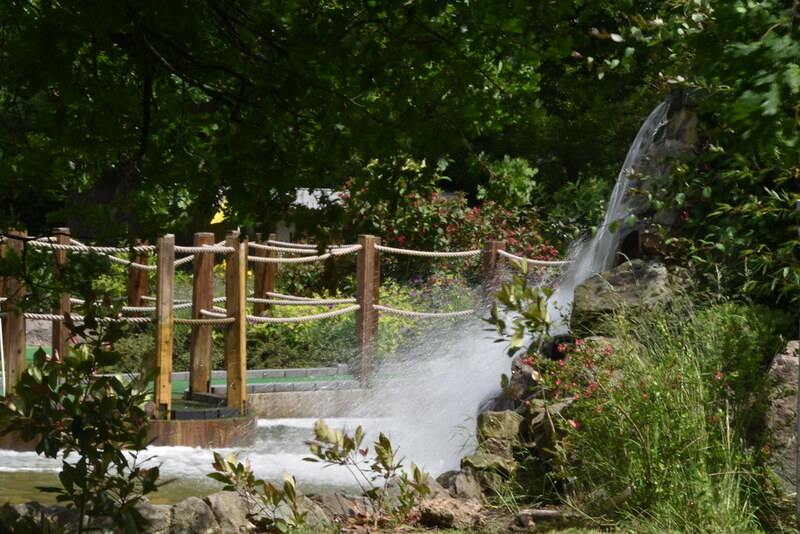 The park’s visitors can stroll along the luxurious alleys that combine English and French horticultural styles. The most popular spot is Triumphal Arch. It’s a symbol of the welfare and wealth of the country. Its height reaches fifty meters, and it’s decorated with a variety of sculptures and statues representing all provinces of Belgium. Brussels’ parks are an excellent spot for leisure walks and just for relaxation. However, there are special rules for visiting the green zones of the city. It’s prohibited to tear plants, climb over barriers, throw rubbish away, feed animals, make noise and leave children unattended there. Each of these parks is open for visiting, so use Brussels car rental to reach your favorite place and enjoy an incredible nature beauty. In urban areas wildlife like birds, raccoons, bats, skunks and various species of rodents can have a difficult time finding an appropriate refuge to call home. Often times these creatures will seek out shelter by nesting and burrowing in human homes. Attics, the hollow space under porches, basements, the insulation between walls and virtually any other accessible warm pocket can draw animals to your home. If you begin to hear rustling or scratching in the walls or discover evidence of nesting around your property, it’s time to contact a wildlife removal agency. Once a wildlife infestation has been detected it’s tempting to deal with the issue as soon as possible. Most homeowners will assume that they can remove the wildlife themselves without trouble. The truth is, for the untrained, wildlife removal can be a dangerous endeavor. Animals often nest in odd pockets which may prove extremely challenging for humans to access. Not only that, attempting removal without the appropriate equipment can unnecessarily expose humans to whatever diseases the animals may be carrying. In addition to keeping humans safe, contacting a professional and humane wildlife removal service can spare the life of the animal. When removing a wildlife infestation in and around homes, it is important to remember that even urban areas are a shared living space between animals and humans. While animals may unknowingly venture into human territory during particularly stressful seasons like the spring and winter months when shelter and food are scarce, there is no need to kill or injure animals to remove them from your property. Contrary to what some wildlife removal in st catharines companies may advertise, wildlife removal that preserves the animal’s life is both safe and legal. When choosing a wildlife removal service ensure the technicians are aware of humane removal techniques and are licensed to do so. When an animal risks inhabiting a space in such close proximity to humans there’s always a reason. Easy access to food or shelter are the primary draws. Ask yourself: Is your food waste properly secured? Are there cracks or openings in your home’s foundation? Is your roof properly sealed? To avoid future infestations you’ll have to find the root of the problem. A wildlife removal service can help you with this. Learn how to securely store your garbage in a way that is inaccessible to wildlife and how to patch up any suspicious openings. Hiring a humane removal service will ensure that the techniques used to fortify your home will not cause harm to any wildlife that interact with your property in the future. There is absolutely no need to use toxic chemicals or other lethal methods of protection when dealing with animal intruders. Not only will such methods unnecessarily harm your local wildlife, but they will likely threaten the health of you and your family. You can also go online to search a better wildlife removal companies that can help to make environment safe for human. How Is A Tree Removed From Your Back Garden? Your tree is an asset to your garden, however, there will times when your tree needs some attention. The tree might have started to encroach over your fence and onto your neighbour’s property. The branches of the tree might be blocking light out from the garden to such an extent that the plants a dying. The branches might start to lean dangerously towards your house and need to be taken down. When you need to have a tree removed from your back garden, you should not attempt to do this by yourself. Instead of this, you should hire a fully-qualified professional. They will be able to use a wide array of equipment and tools to make sure that the tree is taken care of. The tree surgeon is going to work from the top down whilst performing tree removals in Perth, hacking and cutting different parts of the tree as they go. The first thing that they will do is to cut the top branches off. This makes the top of the trunk much more accessible for later parts of the job. They will make sure that none of the tree branches is going to fall onto your house or your garden shed. Cutting the top off the tree is going to be the next stage of the tree felling process. The surgeon will make sure that the top of the tree is going to fall in the garden and not onto anything else. After the top of the tree has been cut off, the trunk of the tree can be removed in sections. This is much easier and safer than the tree being cut down at the base. Once the tree trunk has been cut down properly, then phase three can begin in earnest. The base needs to be dug out of the ground. This can be done one of two ways. Firstly, the tree surgeon might decide to cut up the trunk with an axe and then remove the individual pieces. This can be time-consuming, so there is a faster method. The tree surgeon can use a woodcutter to make sure that the trunk is successfully cut away. When the trunk has been successfully removed, it is time for the roots to be completely dug up. This can be done by the tree surgeon using a spade. This will minimise the damage that occurs on the grass. When your tree is growing too big or is leaning dangerously, then it will be a good time to call a tree surgeon. They will carry out a full inspection of the tree and then they will make sure that the branches, trunk and roots are safely removed. Tree removal will be quick and efficient when you use a surgeon. Many of us have gardens either in front of our houses or at the back side. Gardens increase the beauty of a house if they are decorated properly. It increases the value of the house and creates a good impression on our neighbors and relatives. A beautiful garden expresses the artistic nature of the homeowner. We like to spend our free time or arrange a party in a good looking garden. There are many ways you can beautify your garden. The tips here might be helpful for you. At first you have to make a plan how you want to shape your garden. It is not advisable to cut the existing trees. If you want to plant tree decide at which places they will look good. Plant some plants of different flowers and trees that don’t grow very tall. Decide the ways by which you want to make the footpath. Keep space for your car to enter and exit. Note down your entire plan in a diary. After making the plan trim the trees to make them look beautiful. The trees that don’t have proper shape cut their unwanted branches. Cut down the unwanted plants and trees and remove all the bushes that are making your garden look dirty. Remove all the fallen leaves from the area. To cut and trim the trees you get different instruments such as pruner, lopper, hacksaw, chainsaw, etc. Make the roads by which you want to walk around your garden. If you want to make the path permanent you can use stone or brick so that it looks beautiful. You can plant some small plants on both the sides of your path if you want to look like a passage. Put some stones around the large trees. On the walk to the front door you can seam the stones with grass that softens the walk. Decorate the entrance of your garden with different gate flowers. You gate doesn’t have to be very big or gorgeous. Put some flower pots on both the sides and plant some small beautiful trees. The beginning of the journey should give the viewers a natural touch. Potted bougainvillea, citrus trees, and palms further accent entries make it look good. Put some furniture in the garden where you can sit and spend time. Since it is difficult to carry the furniture every now and then you should make them wither with metals or stones. If you make your furniture by wood, polish them with some water resistant and durable paints. The paint will keep the wood safe from the rain and moisture outside. Put the furniture in different places such as under a tree or in the open place. You can put different ornaments on the garden such as a lantern, a small tree-house, a bird’s nest, etc. The ornaments will guide the visitors which places are used for what. A wooden gate can mark the entrance, a tree hung lantern shows your perspective, and a curved bench inspires a nap. You and put some signs and statues in the garden and give it some classic look. There are many interior designers who can give you many different ideas to make your garden look beautiful. You can also talk to someone who has a beautiful garden at his home. You need to have a good knowledge about trees so that you can take care of them easily. If a plant or tree dies you should remove and replace it if possible. Keep your house and garden nice and tidy. Nature provides the best ways for people to bond with their families away from distractions, in a quiet and quite relaxing manner. The best places for these kind of activities, such as picnics, are parks that have been excluded from any kind of noise and other distractions such as traffic. One of the places known for the best parks in the world is Birmingham. Sheldon Country Park is one of the most beautiful parks in Birmingham. The park which covers a total of 300 acres is ideal for a picnic day with family and friends. The park is made up of mostly open grasslands, wetlands, old hedgerows and mature woodlands. It is equipped with a huge parking which is connected to other trails to facilitate for nature walks. For families with kids who would rather participate in other playful activities, there is a great playground right when you enter the park. The park, which is open throughout the year, has a couple of activities including tours of a firm. 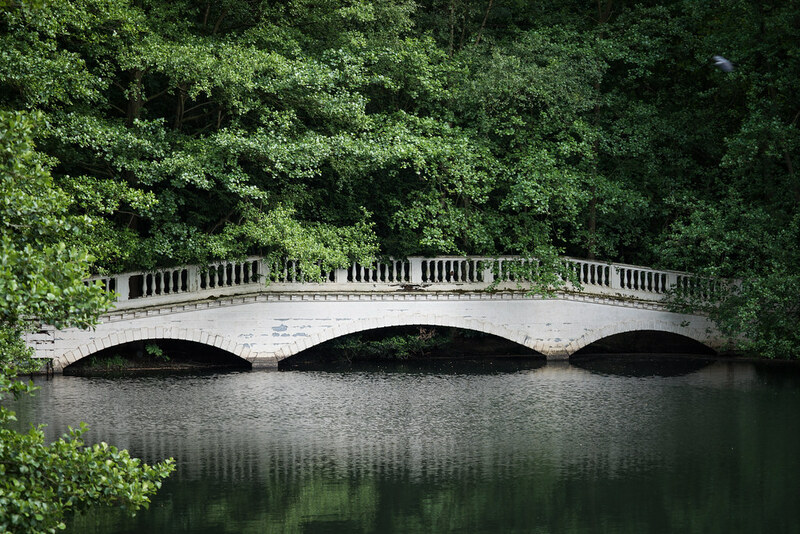 Covering a total of 250 acres of land, Cannon Hill Park is the most popular park in England. The park is accessible by anyone, whether a pedestrian or driver. It has a huge parking available to facilitate all visitors. In addition, the park is known for being the host of Birmingham Wildlife Conservation Centre and the Mac arts theatre. It also has 2 huge playgrounds for families with children. This park is completely breathtaking and is highly recommended for anyone wishing to enjoy a bit of wildlife. Being the first official urban park in Birmingham to receive the Green Flag status, Kings Heath Park takes up 35 acres of land. It is completely accessible, with there being three entrances to enter the park. It has a wide range of natural plantations and fun activities for both children and adults. Apart from the fact that the park is very good for picnics, it has a tea room, a bowling green, nurseries with germinating plants and for children, two playgrounds. There is a huge car park, with one that can be reserved for you in advance. 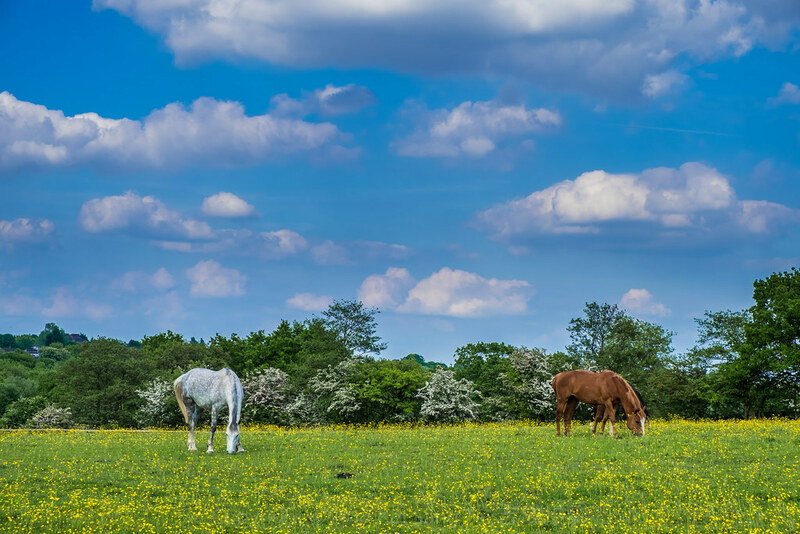 Woodgate Valley Country Park covers a total of 450 acres of land, enough to hold a huge number of people at the same time. There are beautiful plants, with a total of over 250 types of plantations found in the park. In addition, the park has a breathtaking pond and a large number of different flower species. This park is also known to be a nature reserve for the many species that have been discovered in that area. Of all the parks in Birmingham, this might as well be the most beautiful of all. It is specially designed to display nature at its best. The gardens have glasshouses to display nature at its best. There are four glasshouses displaying subtropical, Mediterranean and arid houses. There are many beds and shrubberies in the area to cater for any picnic activities. 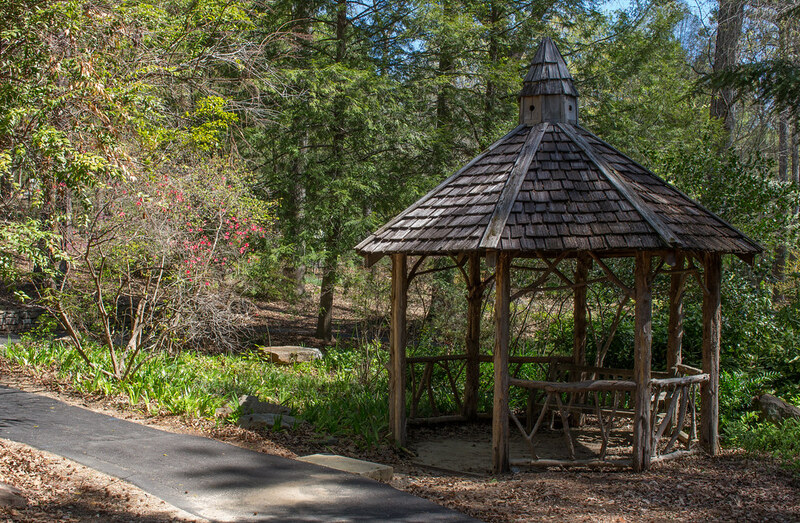 For families who love nature, this is the picnic site for you. Birmingham has some of the best parks in the world. In this century, parks like those are really necessary. The parks are very easy to access even for people with vehicles and parking is never an issue. You can opt to find a Birmingham car rental and rent out a car to drive to these parks. Have fun with your family any time and any day. There are many parks in Lisbon, for example: Parque Eduardo VII, Parque dos Poetas, Parque Principe Real, but the largest park in the city is the Botanical Garden. Every day many tourists and residents of Lisbon come to the Botanical Garden to admire outlandish plants and flowers, take a walk in the park, to see beautiful birds and enjoy the atmosphere of the ancient times’ antiquity. Greenhouses, a collection of plants, which has preserved amazing specimens to nowadays, and three fountains, together with beautiful peacocks, which are sitting on the branches, dangling their tails are making this place a true national treasure. For the economy of your time, hire a car in Lisbon Airport. In the capital of Portugal, near the Praça do Comercio and the ancient University of Lisbon, the oldest Botanical Garden is located. The idea of ​​creating a botanical garden was given by the Polytechnic School of Lisbon in 1859. The garden was necessarily needed for the school to carry out various research works in it. The works on the construction of the Botanical Garden in Lisbon were started in 1873. On the uppermost part of the Botanical Garden, dicotyledons, magnolias, gymnosperm conifers and ferns were planted. In 1876, on the lower part of the Botanical Garden, a palm alley was planted, there is also a large lake, in the center of which, is situated a beautiful sculptural fountain. The lake is inhabited by waterfowls and various aquatic exotic plants. Forty species of eucalyptus are planted in the garden. The Botanical Garden in Lisbon looks like a beautiful park. The garden has an ideal symmetry, emphasizing the French and Italian styles of landscape design. In addition to many beautiful, unique plants, the most rare and unusual flowers grow here, there is a large number of exotic birds. For the public at large, this Botanical Garden was opened in 1878. During each year, an amazing collection of different tropical plants was gathered in the garden. They were brought from different countries: Australia, Japan, New Zealand, South America and many others. There are a chemical laboratory, a history museum and the House of Arts near the Royal Ajuda Botanical Garden. It has rather become a research laboratory, than a garden with beautiful decorations. The main pride of the Botanical Garden is dracaena, which is 400 years old. It was taken to the garden directly from the island of Madeira. In addition, there is an ancient fountain of 18th century, made in a marine style. In those days, it was customary to arrange gardens in the same style, with strict symmetry, following the pattern of Italian or French palace parks. To design the Royal Botanical Gardens, Italian naturalist, future professor of the University of Coimbra, Domingos Vandelli was invited. He had very significantly filled the garden collection with plants from his native city of Padua. Located in two levels, the Botanical Garden looks like real court park. From the top terrace, there is a nice view over the surrounding area. 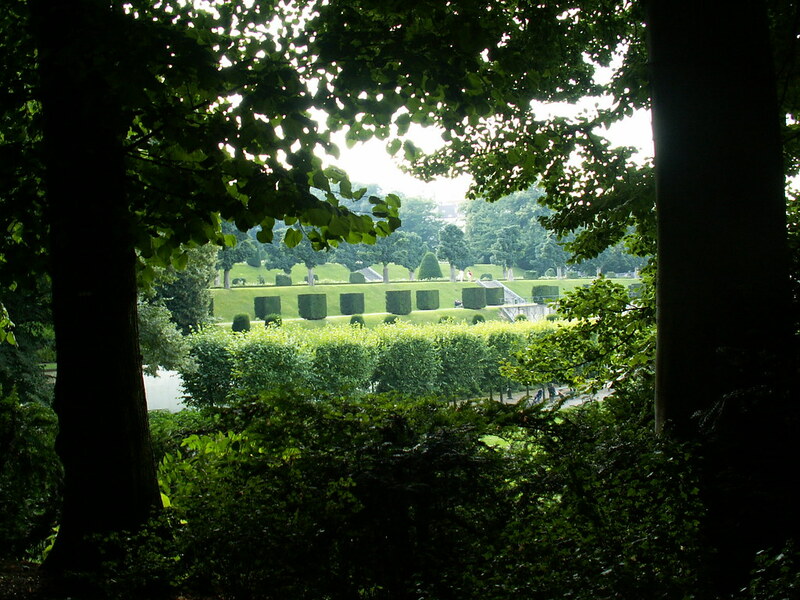 It is best to observe the baroque boxwood gardens exactly from that spot. The paths between the parterre of the park, resembling a labyrinth, are strewn with gravel. In the center of the boxwood partners, there is the main fountain of the Royal Botanical Gardens – Fonte das 40 Bicas. Built in the XVIII century, it is replete with sculptures of fantastic animals. Walking on the lower terrace it is easy to imagine yourself a guest of the Portuguese royal court. Now the Royal Botanic Garden of Ajuda is one of Lisbon’s most popular historic gardens. Fortunately, the Portuguese climate is favorable for many species, which are growing here. People come here in order to rest from the vanity of the capital city, to wander about through the ancient alleys, to admire the collections of plants from every corner of the globe. Not all periods of garden’s existence were successful – the collection, having more than 5000 species in the best years, a couple of times was reduced even to 1200 species. Huge damage to the botanical garden was caused by the Napoleonic invasion in 1808. Funds for research and maintenance of the garden were extremely curtailed; most of its collections was destroyed. Felix de Avelar Brotero, who was the director of the garden until 1828, with the support of King John VI, was able to recreate the collection at the end of the hard times. According to the king’s decree, every Thursday, if only it was not a holy day, everyone had an opportunity to observe the garden collections. Unfortunately, because of the new decline in the country, in 1836 the Botanical Garden was transferred to the administration of the Academy of Sciences. As a result, from a decorative collection, it was transformed into a research laboratory for the study of seeds and plants. The 1960th were no less tragic in the history of the Botanical Garden – the strongest hurricane caused great destruction. The reconstruction work took more than one decade and ended only in 2002. Nevertheless, now the garden looks beautiful and, perhaps, even sumptuous. But in Lisbon, everything looks this way – the atmosphere of the Portuguese capital is full of contrasts – covered with moss, the eternal companion of maritime cities, the ancient coziness of once prosperous city, the centuries-old traditions and the cheerful optimism would enslave your heart. What do you like the most? Do you want to wake up in the morning in the middle of the coffee plantation in Costa Rica or get sleep on the rice field of Sri Lanka? Eco hotels give you a chance to feel something new in the open country. It is really interesting to travel with an eye on ecology. The hotels are unique combination of architecture with the use of natural materials. Learn the list of TOP 10 impressive hotels to be surprised about the interesting places they are built at. Have you ever thought about living in the Caribbean island? The Hotel Hix Island House is situated far from the noisy city, 22 minutes flight from Sah Juan. The houses that you live in are made by popular architects to be the principle of Japanese aesthetic ideology: natural materials, tropic forest, wild nature. Make your world fresh and aromatic! The hotel is situated on the hill of Valais, half an hour driving from Geneva. Of course, it is better to hire a car in Geneva to get to the hotel of Whitepod. It looks like camping but it is more comfortable and luxurious. You are offered to live in the minimalistic domes with the glassy walls, fireplaces and much snow around. If you come for rest in summer, you can admire the green domes to be the part of green hills around. It takes you about 20 minutes to take registration and get to your personal green dome with the heater, cow and sheep skins and wooden furniture. You are welcomed to drink tea with the home-made pastry every day for all hotel guests. You can also play tennis, giant chess, and badminton free. Oh, one more thing – try to walk every day. The mountains landscapes are waiting for you! Jetwing Vil Uyana is family hotel that was opened in the 70th. The hotel owners love nature and take care of environment as much as they take care of your comfort. This strategy works! The hotel is situated in the heart of the rice field, inside the system of omni lakes and channels. The hundreds of birds, insects and amphibians live here. This paradise is located about an hour driving from Colombo. It seems to be the at the world’s end. Who said that lux hotel cannot be eco-hotel? For example, Mandarin Oriental Las Vegas is made of ecologic materials, equipped with energy-saving lamps, organic cuisine. Eco tourism must be luxurious. The hotel is the best example that even luxurious modern building in the center of the city can be eco directed. The hotel interior is done in Asian style. You may enjoy the city views from the famous Mandarin Bar on the top of a hotel. The five stars hotel Lefay Resort and Spa is located on the bank of Garda Lake 15 kilometers far from Verona. This is a perfect example of Mediterranean luxury inside of the picturesque landscapes of green hills and olive trees. The hotel facade is made of stones and woods to be the part of the landscape around. You may swim on the hotel swimming pool with the lake view. Do not worry about the water. It will be used for watering the fields. The hotel food concept is called the Lefay Vital Gourmet to be using just season product from the local farmers. The hotel Lisu Lodge is situated in the picturesque valley of Chiang Mai. The hotel project was created to save the country culture to make their guests to meet cultural traditions. It is surprising, but local families are going to help you to live up to their country principles. 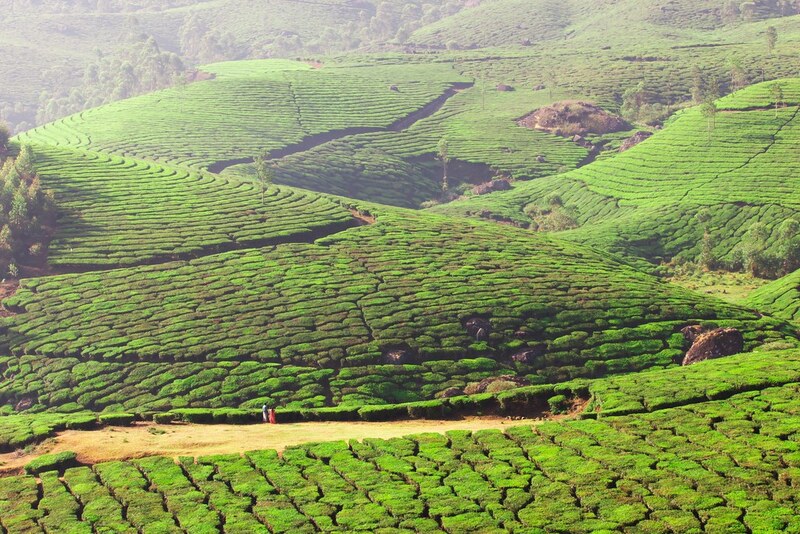 Go out of your house and ride a bike to visit the rice fields, tea plantations. You can even help to restore the forest eco system in the nursery garden farm all together with local farmers. You are offered to sit at the fire and have some tea after all. The hotel h2hotel is situated not far from San Francisco. This is a combination of luxury and moderation under the roof of grass. The roof plays an important role in the life of eco system. It makes the nearest river to be safe in the rainy period and cold the hotel interior in heat. 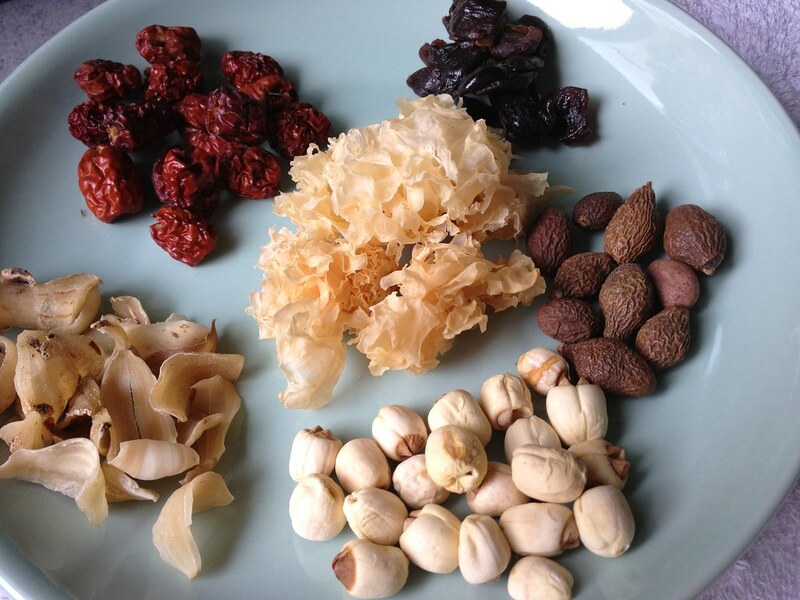 You can go walking over the nearest hills to get wine degustation, popcorn producing from the local farmers. Never forget to go to take massage and hotel SPA – the best prices are waiting for you. Do you feel the smell of honey, wines, lemon and lavender mixed together? The hotel Park Hyatt Hyderabad boasts with the impressive facade and huge columns in the lobby. The suits are unique combination of ecology and extravagance. They go side by side. This is a castle but it teaches you to save electricity, water and other emission-free technologies. The hotel was awarded with the Gold Certificate in 2011. It takes you some time to get to the hotel from San Jose. It is situated few kilometers far from the active volcanoes of Costa Rica in the middle of the organic coffee plantation. There was a forceful goal – make the eco hotel that is ecologically friendly. For example, the hotel wiring is hidden deep into the ground to be nature friendly. You can be impressed with the size of the valley to be relaxed in the hotel Jacuzzi. The hotel is located an hour driving from Alicante. This is also your chance to taste organic food and learn the way how ecology lives all together with luxury. The hotel was built by the local architect to be combined of minimalistic houses that look perfect in the natural landscape. Look around! Their straight lines go to the horizon. CRM (customer relationship management) software is a type of tool that deals with a wide variety of applications that were developed to assist companies in managing many of their business processes such as: customers and contacts, client data, interaction with customers, automation of sales, tracking of leads, customer support, knowledge and training, and many other areas that are vital for companies and organizations. Customer relationship management software is most often used to manage business/customer relationships. At the same time, CRM products are also used to take care of sales leads, win contracts, manage employees, customers, and business contacts. In average, CRM solutions can be used by an enterprise or organization of any size. Bpm’online offers some of the best CRM software available in the market. Businesses can have information regarding what purchases their customers make. It is important, for example, to know if your customer bought a car, and for that reason, might need a service. When you transfer this information to CRM solutions, you become more flexible in using or assessing it. Appropriate CRM tools can dramatically enhance the quality of service your company provides to your clients. It can also make your employees much more efficient through unification of all your information in a single location. Using CRM products, you can build a complete picture of your client base. CRM platform is a holistic automation product that can bring all your databases together for better communication with your customers. You can add information to your client bases with a click of the mouse. This CRM system was designed for professional sales management. The tools that bmp’online offers enable users to employ proven sales processes. Built-in analytics allows assessment of your activities, and communications manager helps stay in touch with your colleagues and customers. This CRM package provides a wide variety of services for its users. For instance, agent desktop makes it possible to improve the quality of communications and customer experience. And configuration management was dramatically enhanced by introduction of configuration item database. Using the tools provided by this company, you can interact with your customers via multiple channels. Since your clients are everywhere, you can use multichannel support and get in touch with them through social media, email messages, live chat, or phone and keep track of your interactions in one place. Zoho’s CRM software solutions allow customizations and configurations that will help you adapt your tools to work the way your business does. Such helpful features as layouts, modules, fields, and automations were designed to control incoming information. Besides, you can add on applications that will help your work. This CRM product provides assistance in building a scalable sales organization. As your business expands and your sales team grows, you will need your sales processes to scale in order to give the same amount of attention to your leads and customers. This CRM solution allows automation of your daily activities. The package has powerful customer relationship management solutions developed to assist small-size businesses in dealing with the important task of managing your partners, suppliers, vendors, enterprises, contacts, and leads. This web-based CRM uses cutting-edge best practices allowing to detect everything related to a lead or a contact. This CRM product provides great sales opportunities through its applications that help manage pipelines, define the value of the business, and determine the probability of winning. Flexible social CRM tools allow integration with social media. Users can locate almost every social media profile by putting in a person’s email address. You can also explore your customer’s information in public profiles with a single click. Customer journey is the focal point of this package. Managing your customer expectations will determine success of your business. This CRM offers tools to automate any customer journey with rules driven behavior. Complexity or size of task does not affect its fulfillment. This CRM product assists in building relationships with customers. Your representatives will have unprecedented access to all interactions between customers and employees across your company. Relationship analytics offers 360-degree view of customer interaction and will help deliver real-time insight into company/client relations. ​This CRM platform offers an optimized and centralized customer support hub. This tool was designed to address customer issues and helps eliminate communication gaps between the manufacturing and support teams. What Type Of Water Heater Should You Buy? When it’s time to upgrade your water heater, you’re going to need to make an important decision. You need to figure out what type of water heater you should buy. If you’re not familiar with water heaters, you should know that there are a few different types of water heaters you can buy and each type has its own set of benefits. Hot water is a necessity and you deserve to have enough hot water to bathe, wash your dishes, and do your laundry. New water heaters create longer-lasting hot water so it’s definitely worth upgrading your water heater, especially if the water heater you have right now is very old or broken. You might have an older version of a traditional water heater so you might know that these types of water heaters use gas to heat the water. Gas is a relatively effective way to heat water and while electric water heaters might arguably be more efficient, you can still get a good amount of hot water from a gas water heater. There are a couple of risks associated with owning a gas water heater, however. Gas leaks can happen when the valves on the water heater begin to break down after years of use. Gas leaks are expensive to deal with and they can be dangerous for your health. However, gas leaks are somewhat rare, especially with newer water heaters, so you won’t necessarily be in danger by purchasing a gas water heater. Tankless water heaters also use gas but the difference is that the water is not stored in a tank. When you use a typical water heater, the hot water is stored in a tank. When the water in the tank runs out, you run out of hot water. With a tankless heating system, the heater warms up the water as it flows into your pipes so you’ll never run out of hot water. However, tankless water heaters might take up more power than conventional water heaters because they need to constantly work in order to heat the water. If you want to save a lot of money and reduce your risk of a gas leak, you should turn to an electric water heating system. Instead of using gas, these water heaters rely on your electricity. Depending on how much you already pay on your electricity bill each month, you might find it more beneficial to purchase an electric water heater. Electric water heaters are the most efficient option because you won’t lose heat on unused water. With a gas water heater, you might waste power by heating water that you don’t use. People are frequently turning to electric water heaters because they are more efficient and cheaper than traditional gas-powered water heaters. When picking a type of water heater to install, the choice is yours. However, you should definitely consider picking the most efficient, cost-effective option for your home. In most cases, an electric water heater is the best option. Virtually everyone takes his or her time to make the exterior of their residential or commercial building look good. Exterior design is something that is mostly done by professionals. People employ the services of experts to take care of their landscaping needs in order to get the best results possible. The general idea is to make use of the best landscaping products. When it comes to choosing the best landscaping products, it is important to carry out a quick survey of where the products will be used. This is even more so because you need to understand some basic information about where the products would be used. Before you start looking for the best products for your landscaping undertaking, be sure you have already done the needed study of the layout of your land and has correspondingly put it in paper together with your plan of action with regards to your design. The basic idea behind any landscaping work is to beautify the land where it is carried out, so you need to keep that at the back of your mind when choosing the best landscape products. Thus, the colors and the kind of materials that you will select will have to fit well with the kind of materials that your home is made with. Also, as to the color of the materials, seek help. The ideal landscape expert can provide some advice on what colors to work with, based on the types of materials used. When it comes to choosing the best landscape products, the most used kind of products in landscaping is stones or gravels. Stones basically reflect nature. It is however safe to say it signifies strength and durability. This is why you can hardly see a landscaping design without stones. Lately however, many cement and brick manufacturers were able to design bricks and cement products with stone like features. You can hardly distinguish their products from a real stone. This new procedure by cement and brick manufacturers led to a more frequent use of their stone like products for landscaping. Using real stones can be costly. You can still get professional advice from Core Landscape Products at http://www.corelp.co.uk/ where you can get a quote for your landscaping needs. 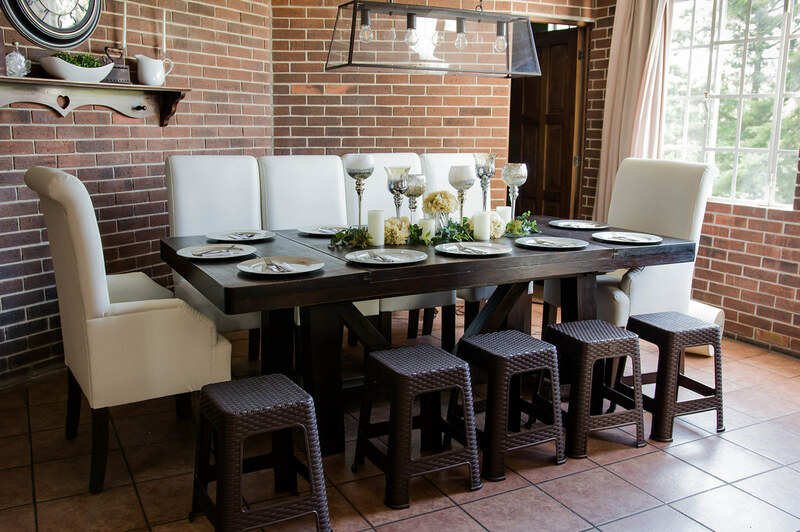 If your house is made of bricks, this kind of products can complement very well to have a good picture of your brick house and its landscaped surroundings with brick perimeter walls. Landscape designers usually would match the materials of your home with the products used for landscape perimeter fencing, to get the best mix possible. For some people, products that they choose for landscaping do not necessarily be materials that can complement what has been used in the construction of their houses or commercial buildings. To help you select products for whatever landscaping design you may wish to undertake, you can browse the Internet for information and helpful tips. You can also contact Core Landscape Products for guidance.